Since the first edition of the Internet Literacy Handbook was issued in 2003 the world of the Internet has changed tremendously. The number of Internet users has risen; users are increasingly younger, trends in how people use the Internet and what they are looking for evolve, and new pitfalls in, for example, personal security arise seemingly overnight. 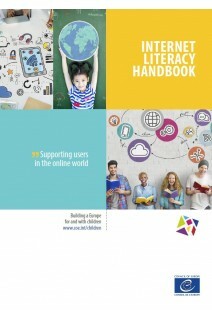 This new edition takes into account the myriad changes, although the object of the Handbook still remains, namely to offer families, educators and policy-makers sufficient technical know-how to allow them to navigate, with young people, through communication technology. The new edition also expands the scope of the Fact sheets anchoring previously “new” concepts of digital citizenship and digital parenting. 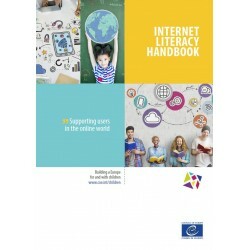 This edition includes 26 Fact sheets arranged under 6 thematic headings including a heading specifically dedicated to “Looking Forward” towards the future of the Internet. The Handbook is designed to be easy to use and helpful, as illustrated by the Fact sheet entitled “Finding quality information on the Web”. It is also available online, where it can be downloaded either in its full format or per individual factsheet.